Valentino Beauty Pure’s new Generation III Table Model is an air filtration system that eliminates nail dust and odor from acrylic or gel systems. 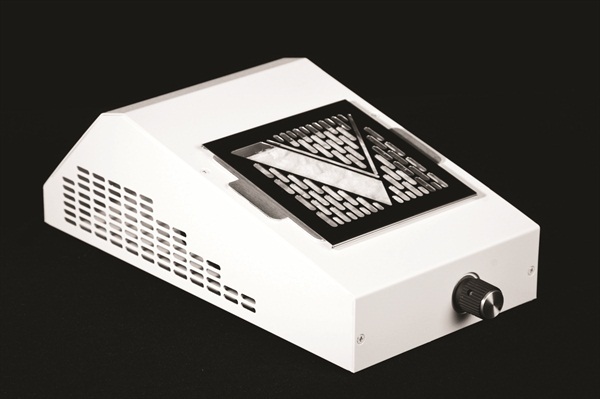 Valentino Beauty Pure’s new Generation III Table Model is an air filtration system that eliminates nail dust and odor from acrylic or gel systems. At 2-in. high, it sits between the client and the nail tech and captures particles as you work. The Gen III features a sleeker, smaller, and ergonomically friendly design and works by utilizing a Polysorb-active carbon media filter treated with an antimicrobial coating. Dust and debris are drawn in by a built-in adjustable fan. 1. 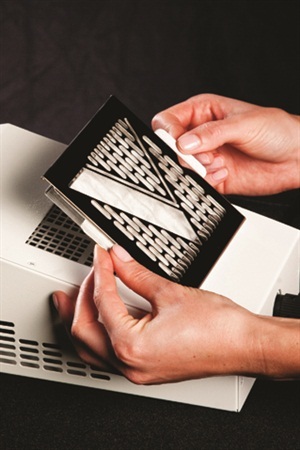 Place the Valentino Generation III atop your workspace and begin your acrylic or gel service directly over the machine. Use the knob at the base of the machine to adjust the fan speed from high to low if desired. 2. 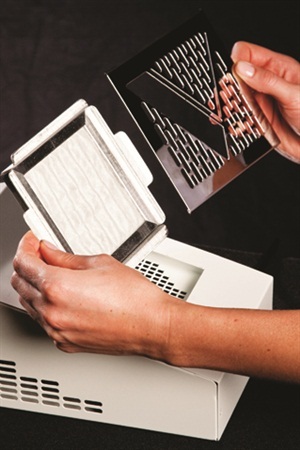 After each client, clean out the filter, removing dust and debris. To do this, first lift the V Grate tray from the surface of the machine using the indentations on either side of the tray. 3. Slide the filter out of the tray. 4. Brush or tap the filter until all dust and debris have been extracted. 5. 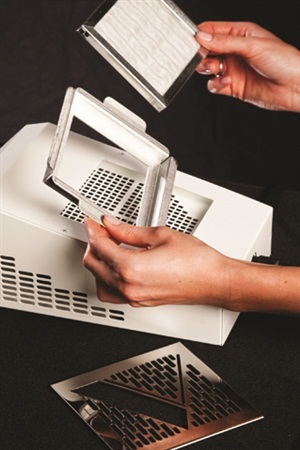 Slide the filter back into the V Grate tray and then place the tray into place. 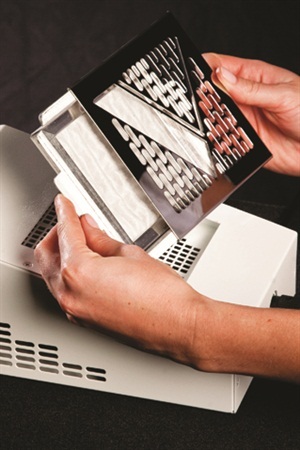 Each filter lasts approximately two to four weeks depending on how many clients the nail tech sees. Filters are sold in six-, 12-, and 24-packs. For more information, go to www.valentinobeautypure.com.